Juke’s debut release, the album length “EP” Atom Experiment found the band from France exploring a number of different influences. As good as it was it did feel a bit unfocused. The same cannot be said of their second album, Chimera’s Tale. The band has definitely found its sound on their latest album. Exploding with cosmic expanses, liquid psychedelia and pastoral soundscapes, Chimera’s Tale is a mind bending sonic voyage for both the ears and the mind. 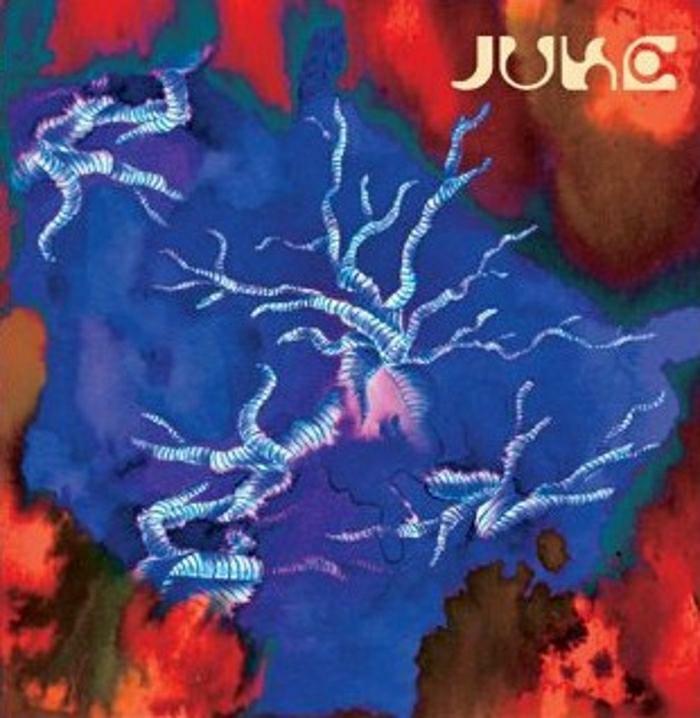 Comparisons, of course, could be made to everything from Ash Ra Tempel to Pink Floyd, but the reality is, what Juke has done is taken all those influences they explored on their first release and synthesized them into their own unique sound for their latest album. Opening up with the proggy Schizarium Odyssey (Part I) the band shifts effortlessly from Inventions for Electric Guitar style sequences to thundering rock to passages of melodic piano and rich vocal harmonies to explosive free explorations of noise. If that sounds completely random, it’s not, Juke pulls it all together brilliantly. The following track, the 21 1/2 minute Neptuna, is one of the highlights of the album. It opens up with mellow, fluidly melodic, psychedelia before diving into the depths of the vast ocean or launching into outer space; maybe both! It’s an epic slow build that reaches a frantic, wildly psychedelic climax. On the Edge dips back into prog rock waters again, with a slower paced, piano driven number which nonetheless features some soaring guitar playing. Mr. Mend starts off like a cross between Careful With That Axe, Eugene and Set the Controls For the Heart of the Sun, but with some haunting flute whispers in there to set it apart, and ultimately, some creepy voiceovers that echo around in the mix. Cool stuff. A brief ambient interlude simply titled ? is followed by the wistful and pastoral Sunset Smile. Acoustic guitars, spacey slide guitar and more gorgeous vocal harmonies are what this one is all about. Finally, Schizarium Odyssey (Part II) picks up right where Part I left off, nicely bookending the album with proggy psychedelia and ripping spacerock. There is a bonus track; a greatly expanded version of ?, over 10 minutes of cosmic ambience to leave the listener lost in deep space. For those, like myself, who love the sounds of early Pink Floyd, post Barrett, pre-Dark Side of the Moon era, this album is a must-have. And yet, Juke are not merely aping Floyd. Their style of playing their instruments is different from Gilmour and Wright, giving this music a completely different vibe, but certainly recognizable as being influenced by that sound. Juke carve out their own niche and create some seriously spaced out cosmic rock on Chimera’s Tale. One of the best albums of the year so far. Highly recommended!